‘The Patriotic Saint of India’, Swami Vivekananda was an orator, a poet and a writer. He was born as Narendranath Datta. His teachings are still followed worldwide. He represented India, at the World Parliament of Religions, in Chicago in 1893. He is remembered for the opening words “Sisters and brothers of America….” and received a standing ovation from the audience. He had the ability to speed-read. He had outstanding concentration power and prodigious memory. Several incidents took place in India and abroad where people tested his memory and concentration. 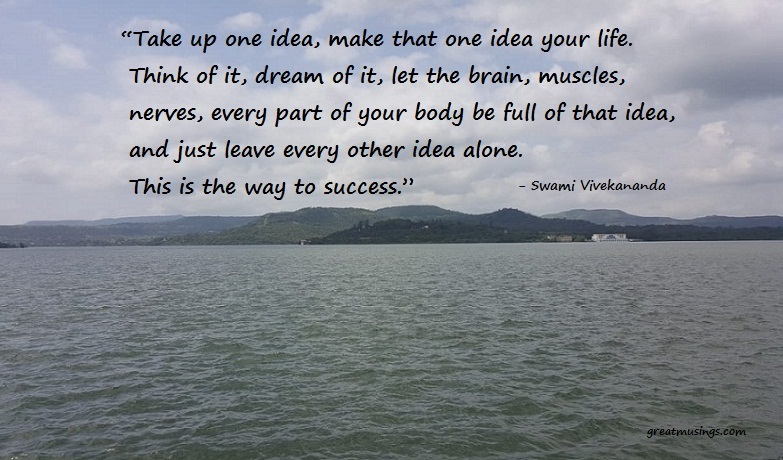 Swami Vivekananda was born in a well-to-do family. As he was brought up in a religious atmosphere, Swami Vivekananda was a great believer in God. A meeting with Ramakrishna Paramahansa was the turning point in Swami Vivekananda’s life. Ramakrishna Paramahansa became his Guru. Swami Vivekananda founded Ramakrishna Math and Ramakrishna Mission after his guru’s death. He dedicated rest of his life for the betterment of the society. Birthday of Swami Vivekananda is celebrated as National Youth Day, every year on 12th January. Success is an outcome of focused thought and action. Stay focused and achieve your goal.